Kevyn Aucoin's Sensual Skin Enhancer ($48.00) was a total surprise for me. My local Sephora recently put a section of the brand's products in its store and I went a-swatching. 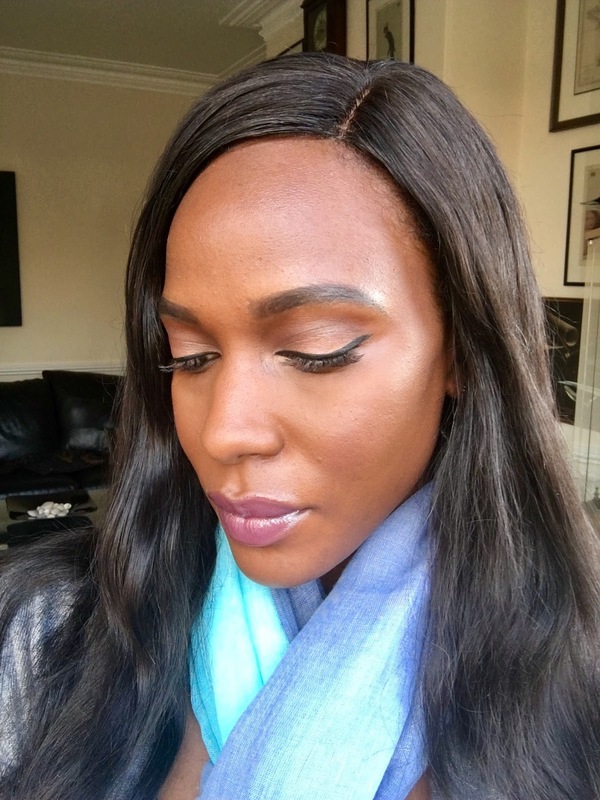 I was taken aback by the coverage and how little you needed to achieve a full-coverage face (and also how long it took me to discover this treasure). I was so impressed with this thick, creamy foundation, I decided that it was the only foundation I would take with me on my vacation to England and Paris. I tested out shades 15 and 16 and ended up with 15, as 16 had more of a red undertone. Fifteen (15) also has a red undertone, but it's not as extreme and is a better match for my yellow undertones. I have oily skin with large pores on my cheeks and plenty of acne scars for this foundation to cover. 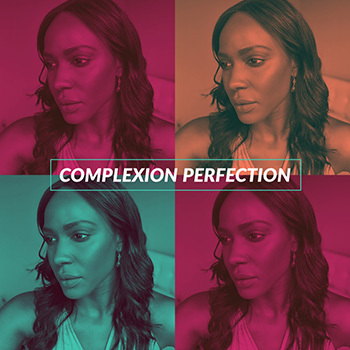 Because of my complexion and the skincare products I use, my hyperpigmentation is a stark contrast to my all-over skin tone. As much as I love the idea of light and medium coverage foundations, only full-coverage foundations will conceal my acne scars. Well, it's supposed to be waterproof; it's supposed to conceal, correct, and hydrate; and provide sheer to full coverage. The brand claims it's also sweat-proof, transfer-resistant, and long-wearing, and can be used as a concealer, highlight, and contour in addition to a foundation. Um... so I have never found a transfer-resistant foundation. The only time I can remember feeling like my foundation was transfer-proof was when I had airbrush makeup done. Otherwise, in my experience, there's no such thing as transfer-resistant foundation. I can agree that this foundation is long-wearing; it doesn't separate when I start getting oily. I do actually feel like the hydrating part is truthful, my skin does feel hydrated, but it also feels like I'm wearing foundation after a while. While I can agree that this foundation can provide sheer to full-coverage, I haven't experimented with it for sheer coverage because that unfortunately doesn't work for my skin and its issues. I use it solely as a full-coverage foundation and a little bit goes a long way. With my fingers, I apply three dots of it to each cheek and my chin, where the hyperpigmentation is most prominent and blend out with my fingers. These days, I find myself applying with my fingers and blending out with a dense brush. In the photo above, and the entire time I was on vacation, I used my fingers for application and blending. The result is the same for both, but using a brush is faster and less messy. The foundation lasts me all day and as I mentioned before, doesn't separate when I get oily. I have never had to touch up or reapply, although don't take that as it looks he same as it does in the morning compared to when it's time to wash my face. It's a solid foundation and an excellent alternative to my Make Up Forever Mat Velvet+, my holy grail foundation! If I had to compare the two, I would say that the Mat Velvet+ provides more coverage. I really like the Sensual Skin Enhancer and would definitely repurchase. It looks amazing in the picture, I would never have guessed it was full coverage. A really natural finish! I am oily and with hyperpigmentation/scars as well, but I usually stick to medium coverage, simply because full always looks so cakey on me. Thanks Linda! You don't need that much for it to completely cover, which is what I like about it. I love many medium coverage foundations, I just have to double down on the concealer to cover up those dark spots!